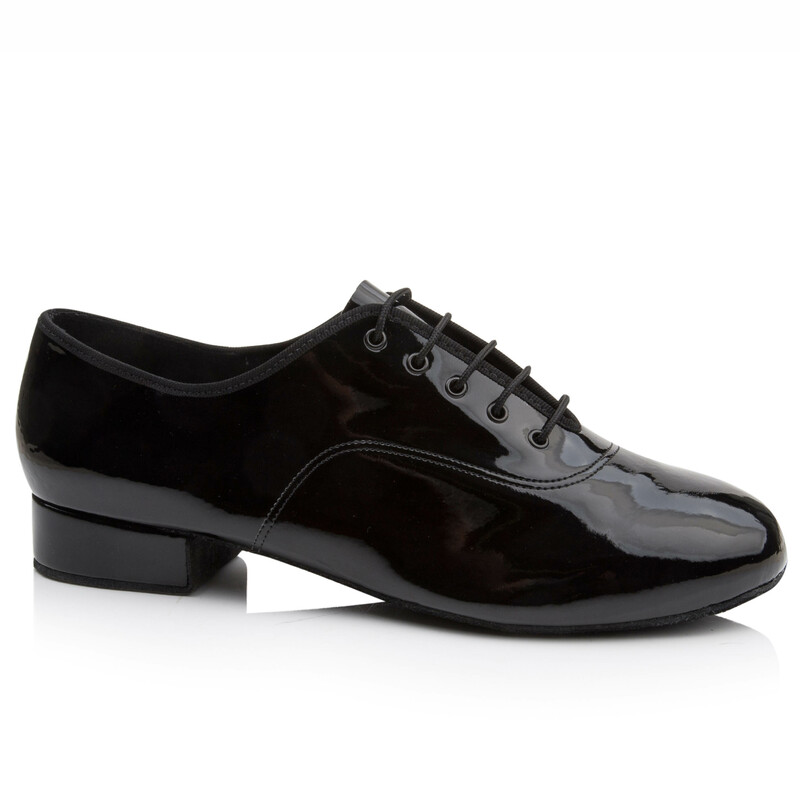 The 6692 by Freed is made with black patent leather with suede soles. It has a graduated 1 Inch heel. It is a discontinued style at our site. NOTE: English to American Sizing is approximate. The information is shown as a guide only and not a guarantee. Actual fitting may vary. Two American sizes available 11.5 Medium and 12 Medium.